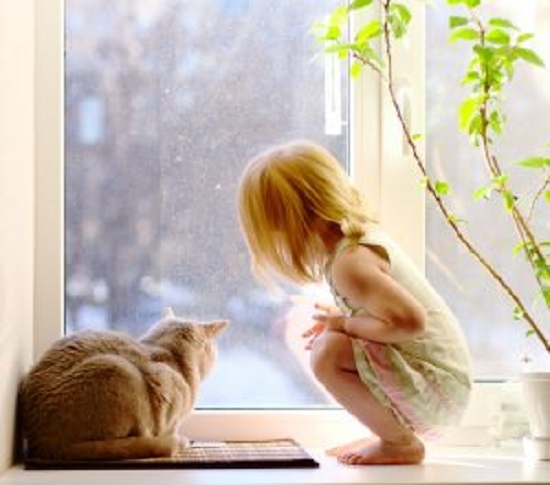 Why You Need Safety Glass for Your Home Windows - American Solar Tinting, Inc.
Safety glass will help to protect you and your family from potential injuries if your home windows were to break. If you’re looking for a great way to update your home this fall making the switch to safety glass is a perfect start. Safety glass offers homeowners a variety of benefits ranging from insulation to security and best of all, you won’t notice a difference. Safety glass can be made using either tempering or laminating and won’t stop any light flow or be very noticeable. Depending on your needs, there are two main types of safety glass. Tempered glass, which is exposed to extreme heat, is up to five times stronger and when shattered breaks into small, dull-edged pieces. This is often best for homes with fewer security threats and small children prone to breaking things. Laminated glass, on the other hand, is made by two pieces of glass that have been fused together with the plastic film. If these are broken the film holds the glass in place. While the glass will still shatter it will not remove itself from the sheet, making it a good deterrent for burglary. One of the many benefits of both types of safety glass and particularly laminated glass is that it helps to improve energy efficiency in your home. Because these windows are often thicker, and more durable, they can help keep cold and warm air in. Overall, this can help reduce your overall energy use due to heating and air conditioning and help to make your home more comfortable. As we mentioned earlier when safety glass is broken it either stays in place or breaks into small, dull pieces. This means that if there is an accident the chance of injury due to the broken glass is almost completely removed. Additionally, safety windows often can be treated for UV protection, which can help protect those inside from the harsh effects of the sun. Contact American Solar Tinting Today for Your Safety Glass! American Solar Tinting has the expertise and equipment to keep your home or business decorative and beautiful with window film. We have almost 60 years of experience serving our wonderful customers without the Maryland and Washington, D.C. area. We offer a variety of solutions for you, whether you need residential window or glass tinting, logo graphics, or security films. For more information on how we can help you and your business, contact us online or give us a call at 1-800-969-0100. For more tips and tricks for your home and business, follow us on Facebook, Twitter, Google+, YouTube, and Pinterest. This entry was posted on Friday, September 7th, 2018	at 4:00 pm	and is filed under Safety Window Film	. You can follow any responses to this entry through the RSS 2.0	feed. You can leave a response, or trackback from your own site.